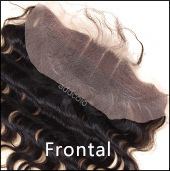 The design philosophy of addcolo Trendy products is that we believe every girl deserves to own a unique wig to show her charm. You can find out your dreamy Trendy Wigs here, whether it is Blonde, Burgundy, 99j, Blue, Purple, Silver Grey,Yellow,Red or Green Hair Shades. You can enjoy the wonderful experience that the wigs of different colors and styles bring to you. reflecttion in the monitor, light, background etc. Please take the actual goods you have recived as the standard.